Nissan Motor Co. Ltd. And all other Japan Ryokan Associations signed a new Memorandum of Understanding (MOU) to work closely to build a less carbon and environment friendly society. The two big organizations will be working together to endorse the electric vehicles development’s charging infrastructures in the hotels. 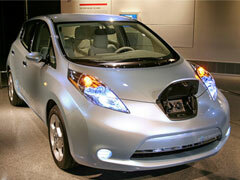 In order to build-up new demand for Hotel industry to promote Electric Vehicles. Based on the new MOU, the new partnership will be a both sided work and study on the following areas. To develop and create new infrastructures for charging in the Hotels with the help of All Japan Rykon Association. To use the EV chargers for the guest’s usage while they are staying. New plans for the development of sales in new Travel Packages, which is meant to deliver the Zero-emission and electric vehicles. Provide current information on the new charging stations and to promote and spread the knowledge through education sectors, the role of this program to bring a healthy environment.